Boracay is home to one of the world's best beaches. Locals and foreigners flock the island to hit the waters, lay under the sun and party the night away. It is my third time at this island that never sleeps- this is where I have decided to spend my birthday week. 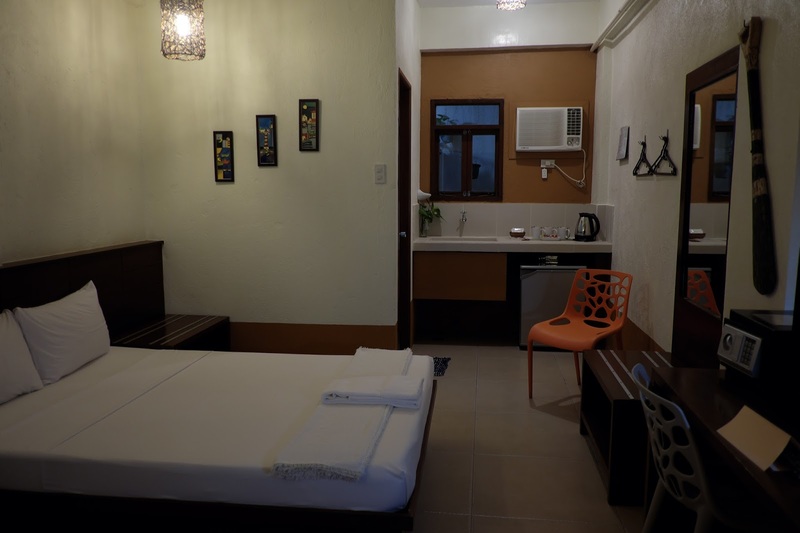 In Boracay, there is a wide array of accommodations that one can choose from. 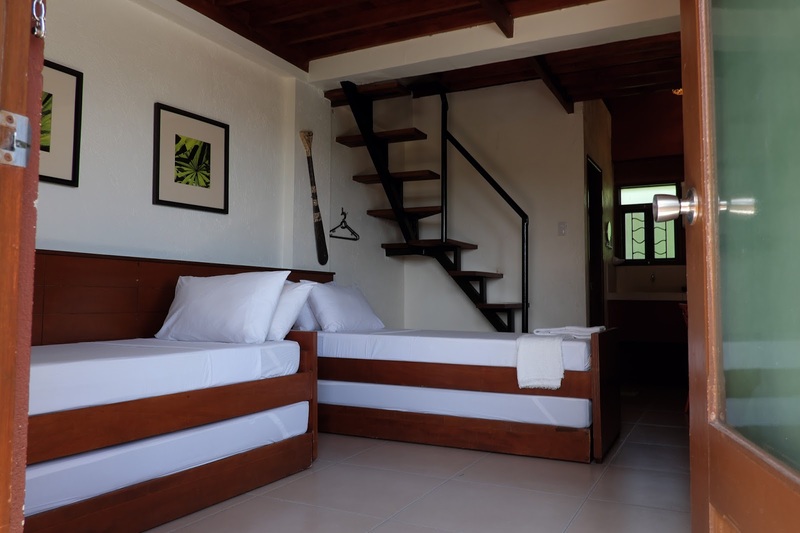 From luxury hotels to backpackers hostels, beach front or by the main road, big rooms or one with decent size, or something that fits the budget- looking for the perfect respite maybe a little tedious. 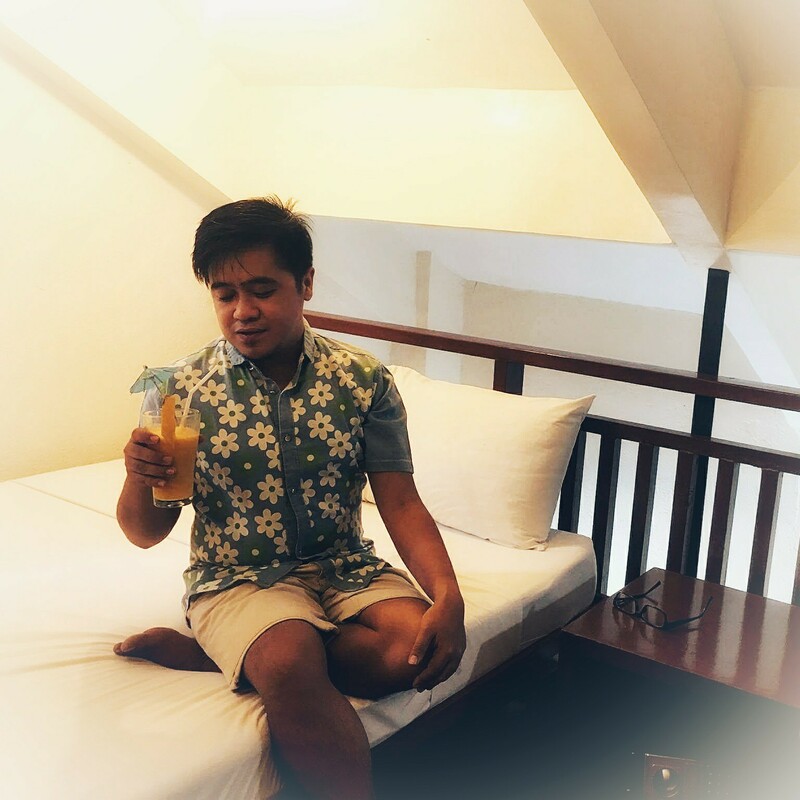 At my recent trip to Boracay, we found solace at Agos Boracay Rooms + Bed. 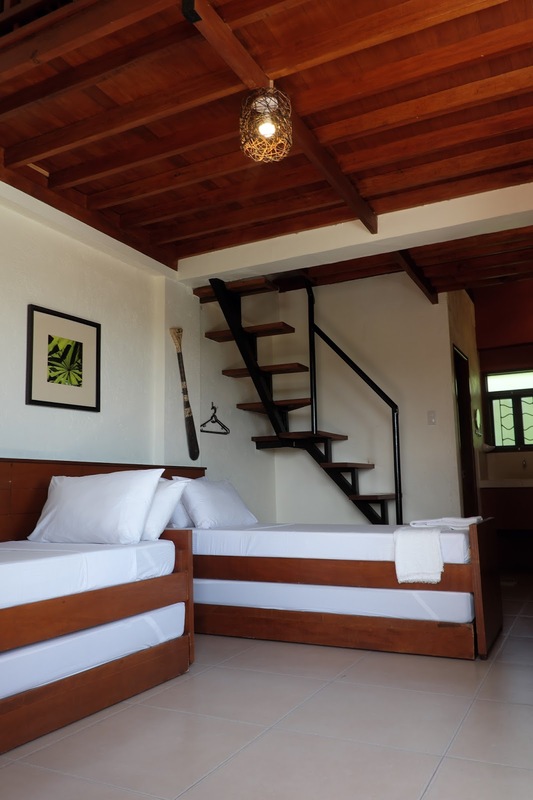 Located at Main Road Station 2, the place is some walking distance to the White Beach and Bulabog Beach. 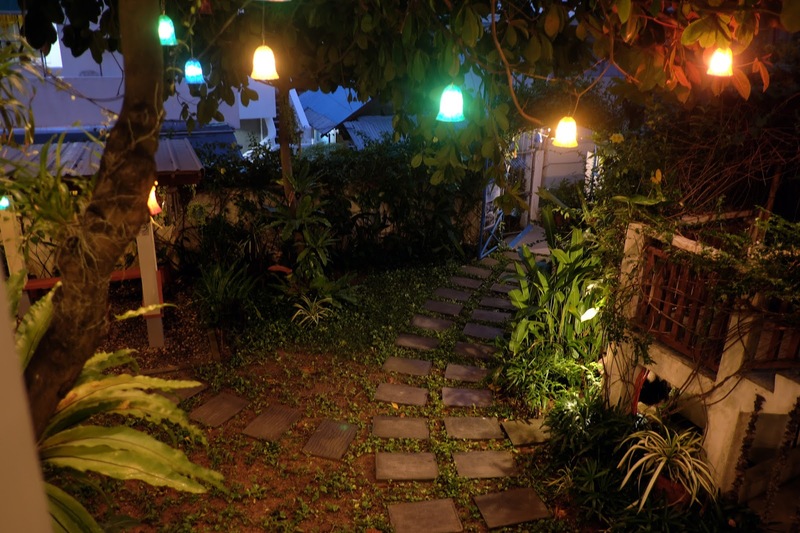 A flight of stairs led us to Agos Boracay. A nice garden with lush greens welcomed us as we entered this apartment hotel. On our first day, we stayed at their family room. 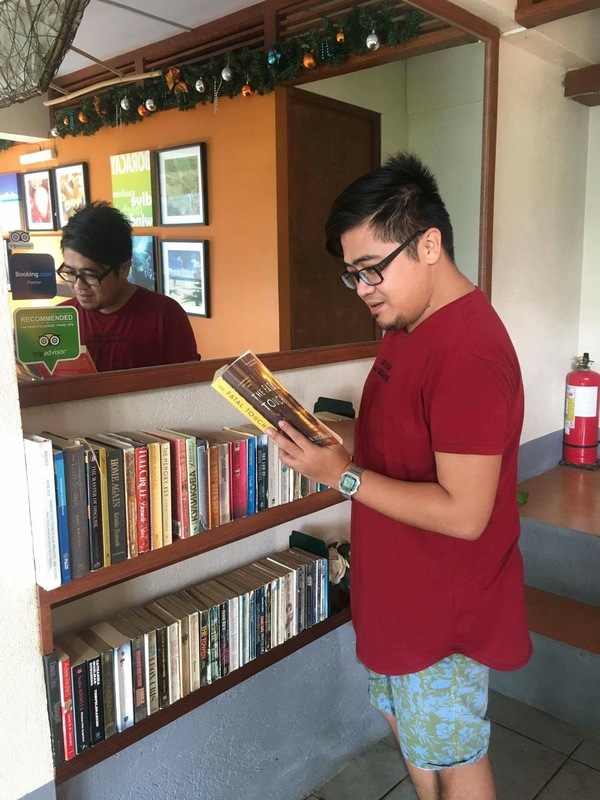 Located at the breezy 4th floor sun deck, it was love at first sight. I already knew we will have a great time here. Modern Asian vibe is the over-all appeal of the room. 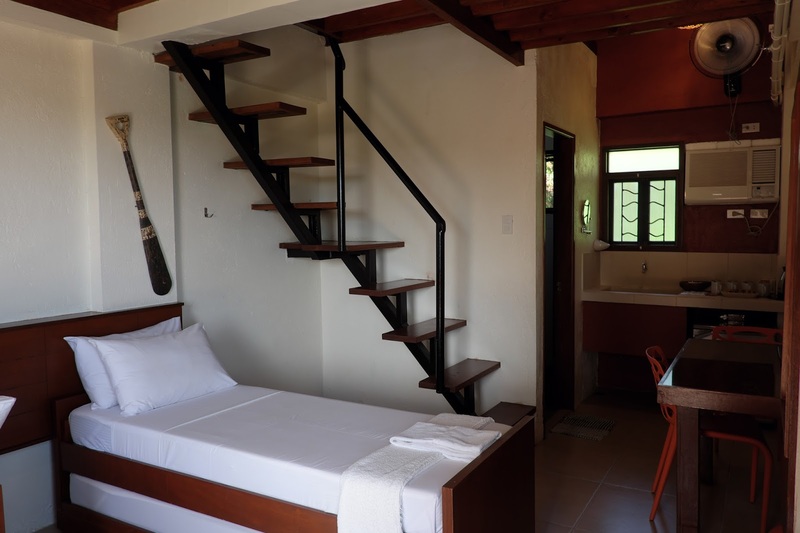 The 40 sqm family room had 2 single beds with pull-out and a double bed at the loft. It can accommodate a maximum of 6 persons. 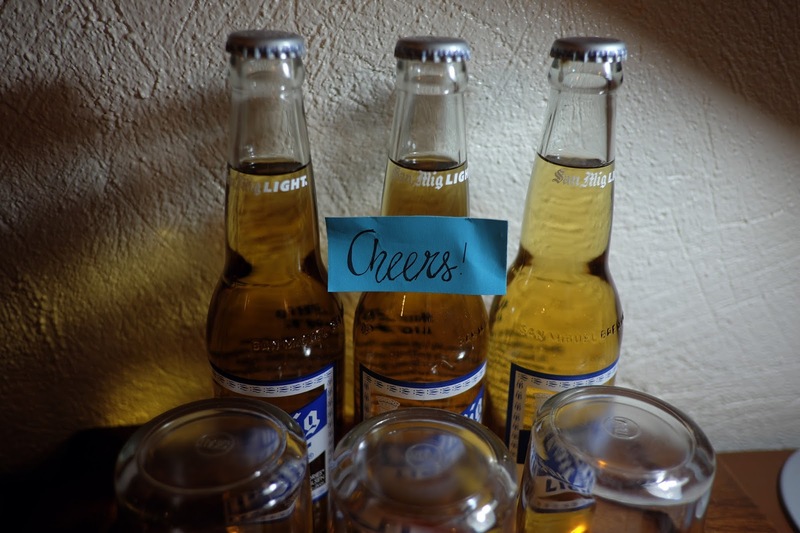 The room is air-conditioned, is equipped with a cable LED TV and a mini-ref- perfect for those drinks or perishable stacks. 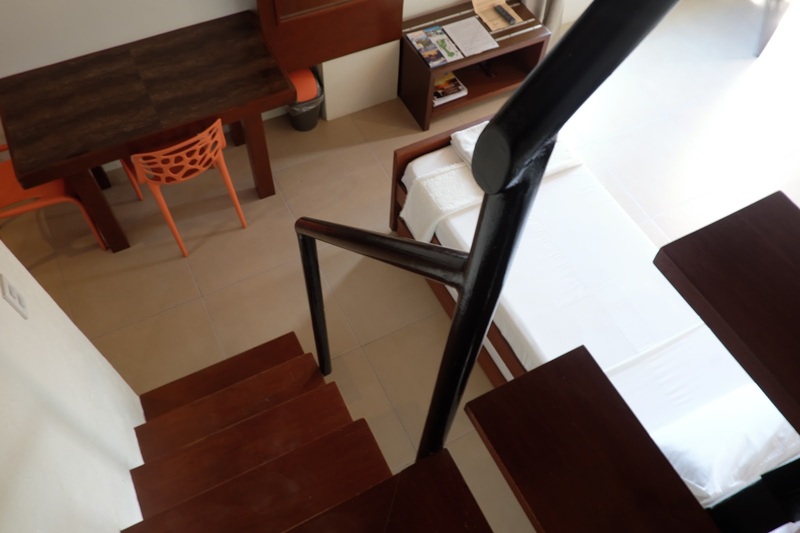 The spacious family room features 2 single beds with pullout. The oar at the wall add an island feel to the room. The room has a dining table and a mini-ref. The stairs leading to the loft. The toilet and bath was clean. It has a hot and cold shower. Toiletries and towels are also provided. And yes, there's a hair dryer! Complimentary water and coffee are also provided. 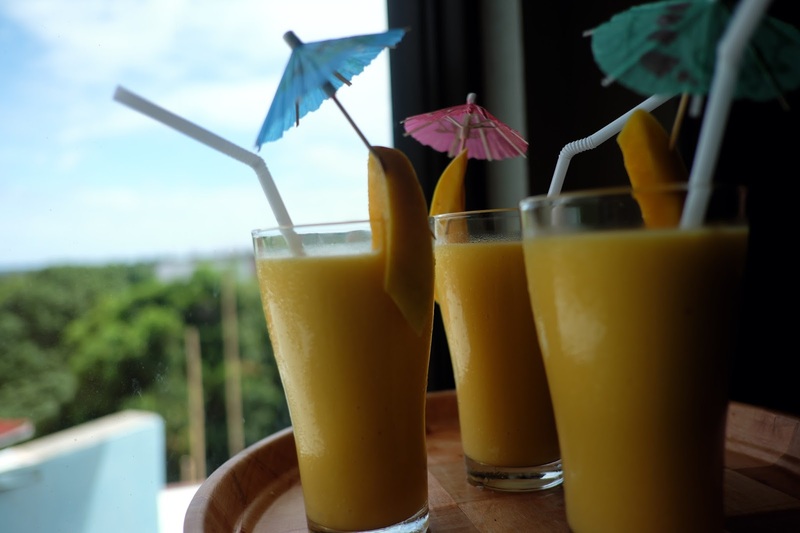 We were also given mango shake as welcome drinks. After beach bumming and dancing the night away, it was nice to take refuge in our cozy room. The sheets smells fresh and clean, the mattresses and pillows-soft. The AC unit works perfectly fine. The best thing about having to stay in their family room is its location. 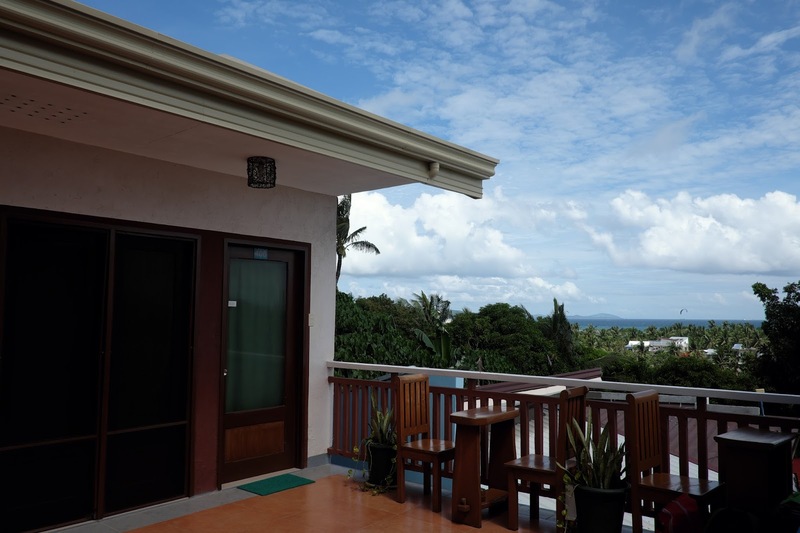 The deck gives one a panoramic view of the White Beach or Bulabog Beach- our view being the latter. 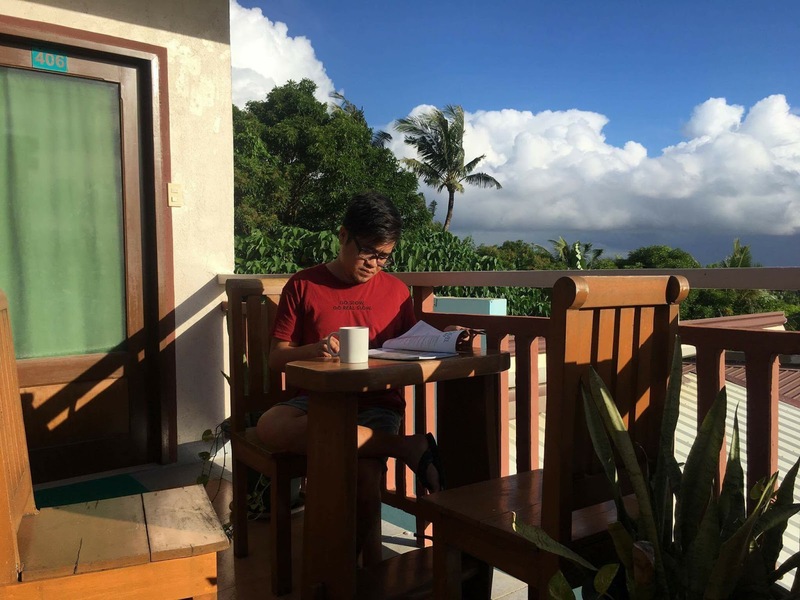 The deck is perfect for coffee and book mornings. From there we also get to see kites flying from Bulabog beach. We got a very nice view of Bulabog Beach from this spot. Starting my day with a nice read and a mug of coffee. Don't you love the nice clouds? 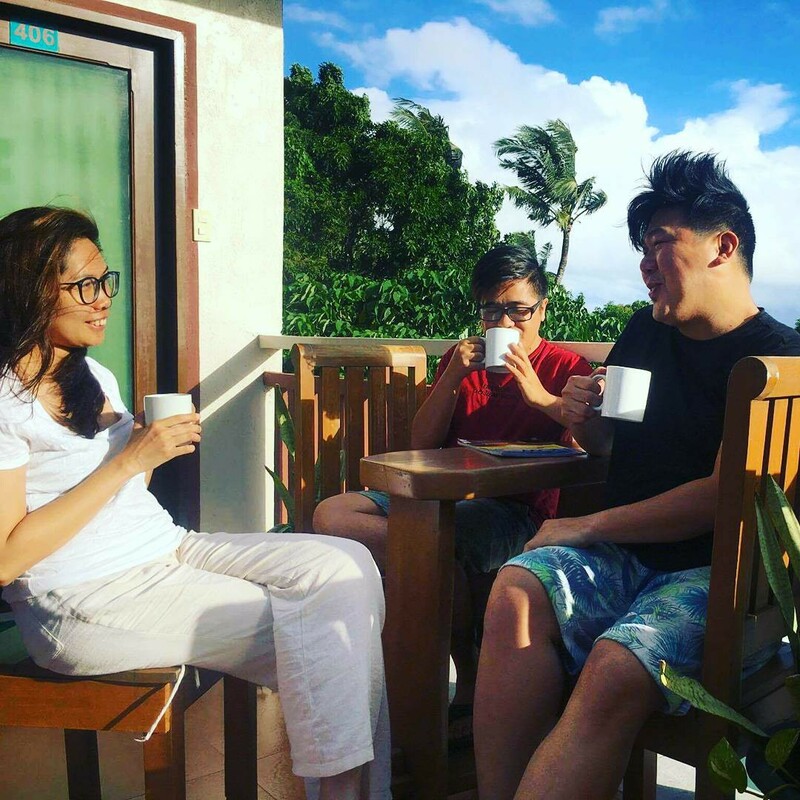 Before we hit the beach, it was nice to share some coffee lovin'. 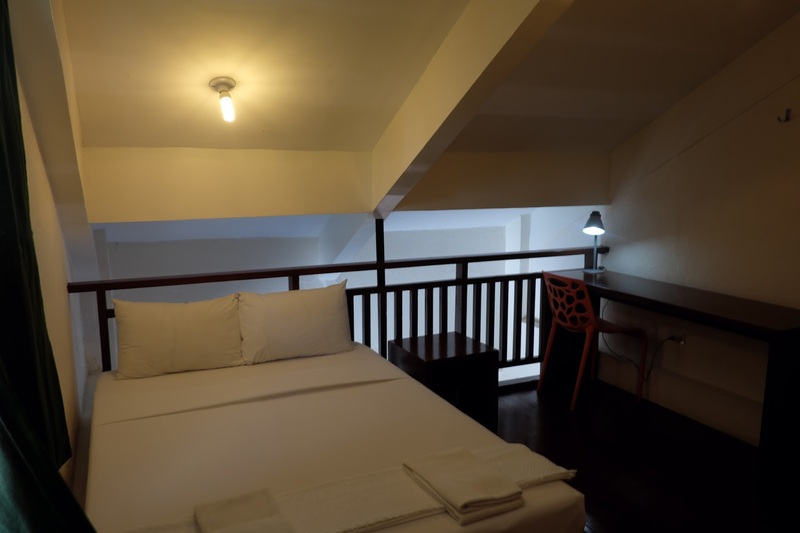 On our second day, we transferred to their deluxe room at the second floor. The family room is really big for a company of three. The room has two decadent double beds. It also comes equipped with an AC unit, a LED TV and a mini- ref. I love how big the T and B was- it was even bigger than the one that we had at their family room! It has an open area- perfect for hanging clothes after getting wet from swimming. Basic bath essentials like toiletries, towels and hair dryer are provided. There's also complimentary water and coffee. 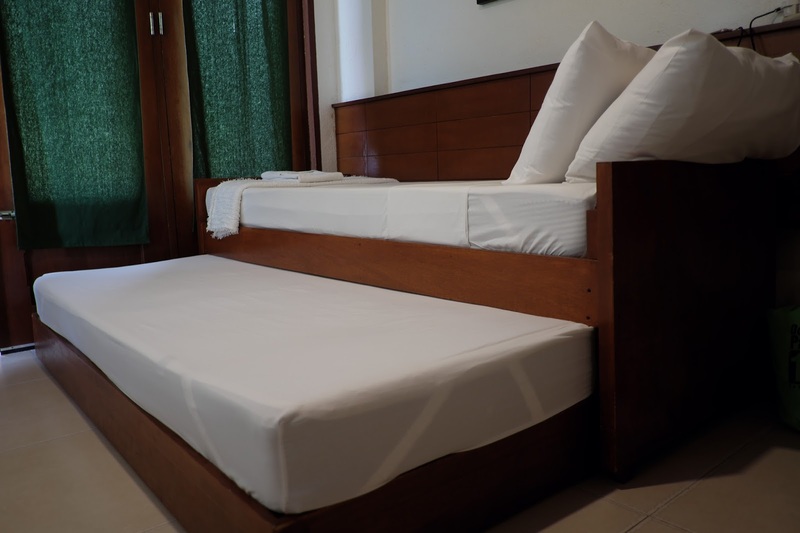 The two double beds are perfect for 2-4 persons. 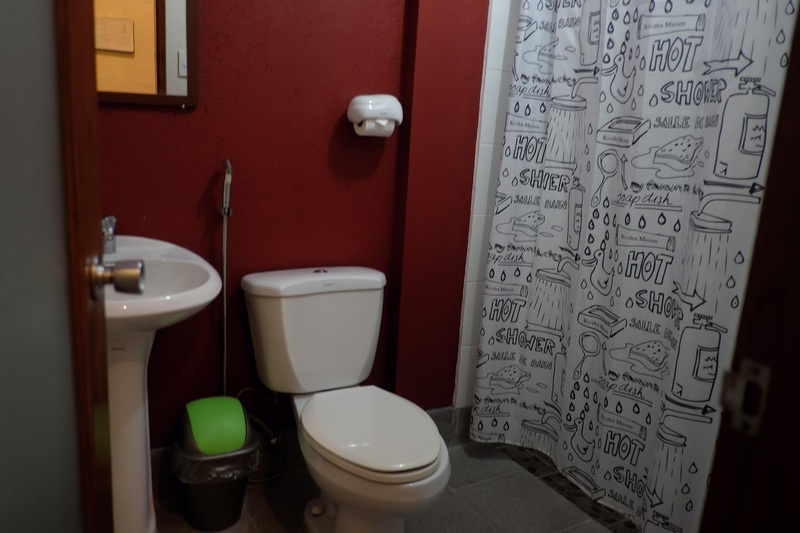 The room has a sink and a mini-ref. Complimentary water and coffee are also provided. I love the life- size mirror. And yes, their signature oar are in every room! We got a really big T and B at this deluxe room. We were surprised to have received these in our room! The staff sure know how to entertain their guests! 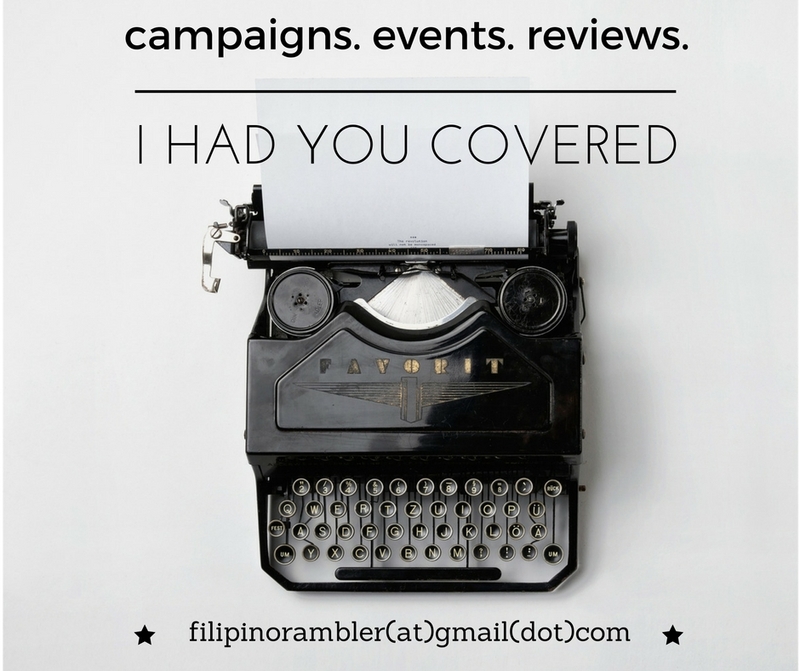 Agos Boracay doesn't have an in-house restaurant. Breakfast are served at The Rising Sun, a food joint just beside their place. 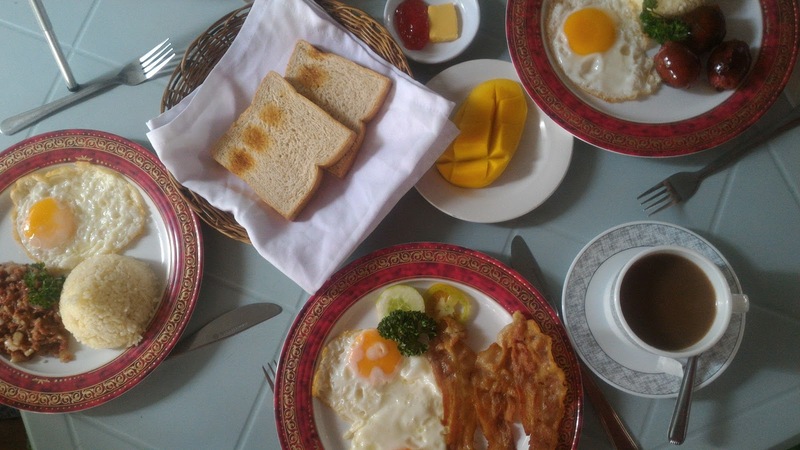 Our stay at Agos Boracay comes with a complimentary plated breakfast with free coffee or juice. And yes, the food was yummy and was enough to fuel our tummy for the morning! Tip: You can also request the resto to cook for you! We passed by this seller and bought a half kilo of shrimp. And ta-daaaa! We had a buttered garlic shrimp for lunch! This guesthouse has 28 rooms with full length windows which can be opened. The lobby and veranda gives one a homey feel. Wi-fi connection is a breeze at the lobby. Interesting book titles are in this shelf. 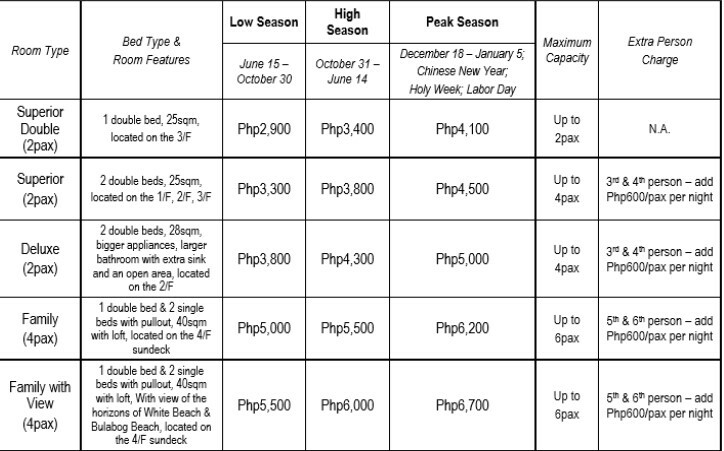 Aside from the daily stays, they also offer weekly/ monthly or long term stay. The talcum soft sands, pristine waters, glorious sunset and energetic vibe of this island had me coming back at this paradise. 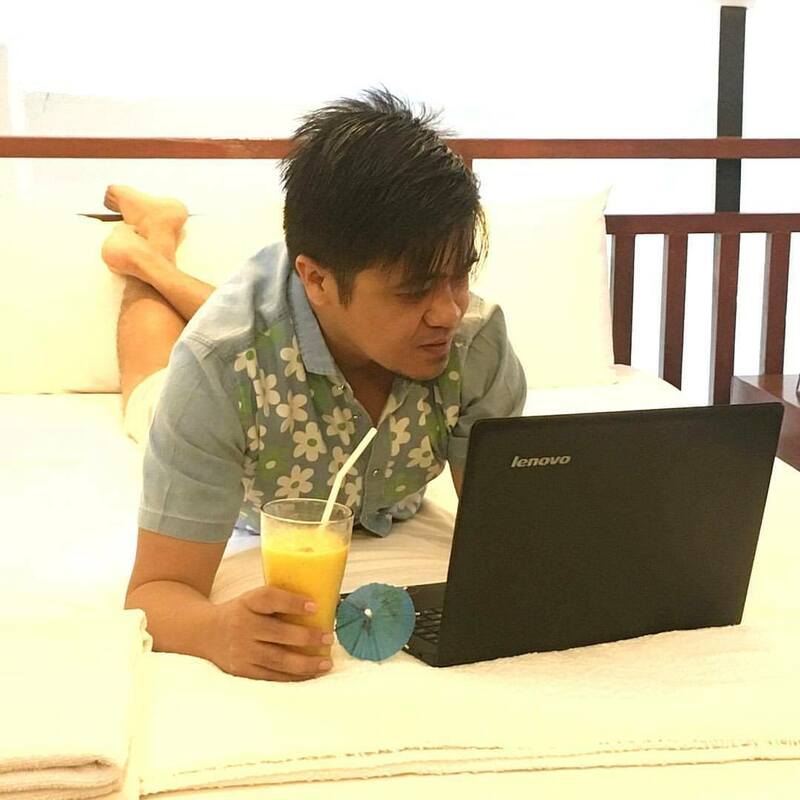 Our Boracay getaway had been more fun with our stay at Agos Boracay. 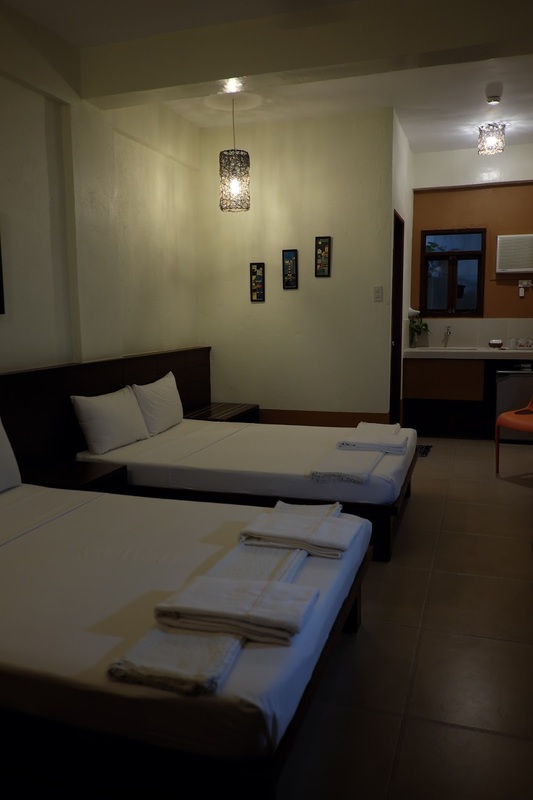 The rooms provided relaxation and comfort. The staff were ultimately helpful and very much accommodating. 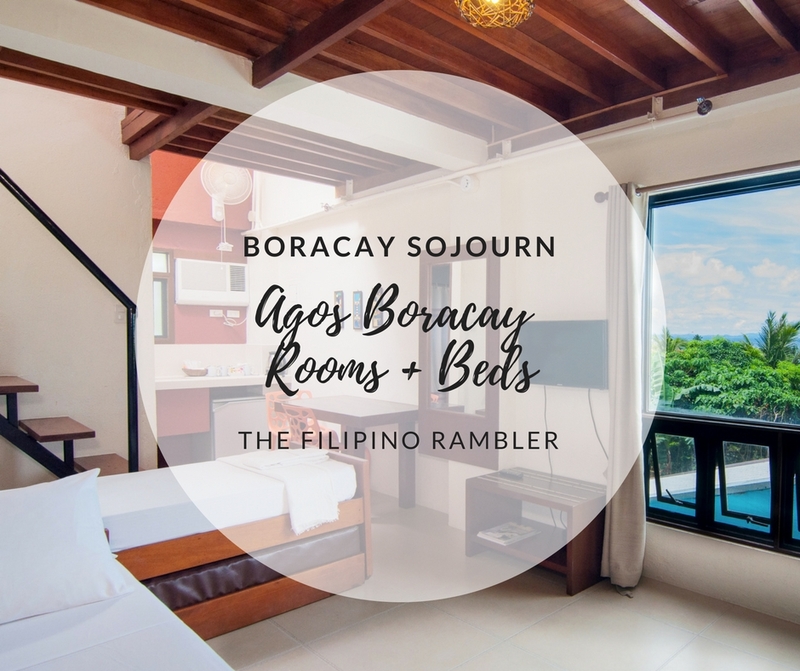 I also like that Agos Boracay is tucked at the main road, away at the party and street noise- you bet we had a peaceful sleep. 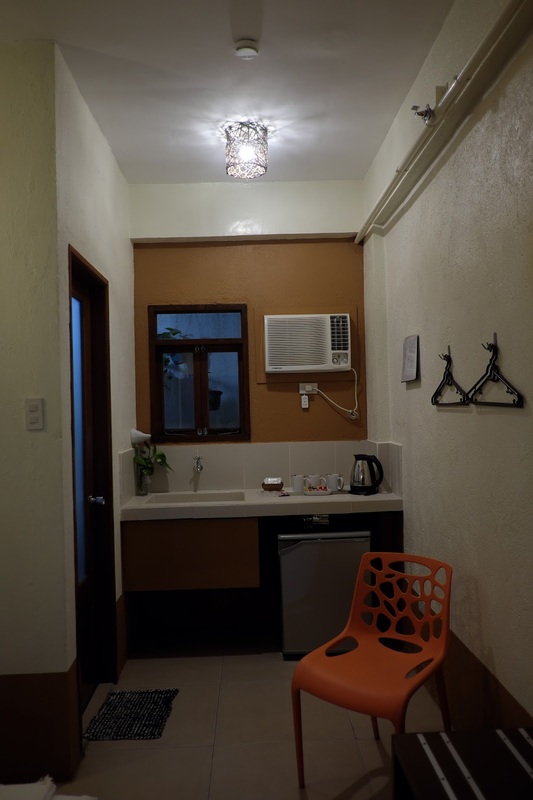 With its convenient location and well-rounded facilities and amenities, Agos Boracay is the perfect Boracay sojourn one will experience!